It was already dark when Bashir Ahmad, who lives in one of the central Kashmir’s remote hamlets, ushered Shakoor into his house. Shakoor, 55, a native of Bangladesh, was not alone. He had seven non-local girls with him. Once inside, Bashir and Shakoor started chatting in Urdu, as girls looked on with blank expressions. The tone and expression of Bashir and Shakoor assured the girls that everything is well. After dinner, Shakoor and the girls stayed at Bashir’s house for the night. While Shakoor snoozed heartily in the next room, the seven girls spent the night thinking about their long journey. They were thinking about hundreds of sleepless nights they had spent under the shadow of death. There was nothing but uncertainty in the offering. All the seven girls were Rohingya’s, who hailed from northern Rakhine state in Burma (now Myanmar). They have been trafficked out of Burma by Shakoor against a payment of 10,000 Kyats each. 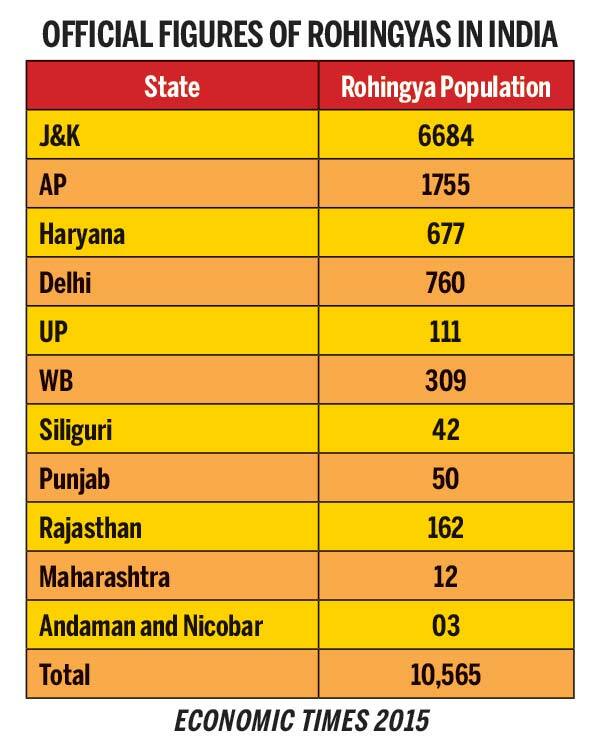 In 2013, as violence against ethic Muslim minority known as Rohingya by violent Buddhist mobs spread across Rakhine state, thousands of them fled to neighbouring countries for safety. “We are being killed, rather butchered by Buddhists,” says a visibly shaken Asiya who is in her early twenties. Asiya, after unsuccessfully pleading with her family to get out of the Burma to some safer place, got in touch with Shakoor along with six other friends. “This is how I came here,” says Asiya. The conflict that saw killing of thousands of Rohingya Muslims by Buddhists – who make around 90 percent of the country’s population – dates back to World War II when Burma was under British rule. It is said that when the Japanese invaded Burma in 1941, Rohingya Muslims maintained their loyalty to Britain, sparking friction between the Muslims and Buddhists. In 1978 and 1991, almost 450,000 Rohingya Muslims were forced out of the country and when some of them returned, they were pushed into northern Rakhine state. Since then they are denied citizenship rights under country’s 1982 Citizenship Act and have been attacked with impunity, banned from schools, government jobs, barred from voting and driven from their homes. Rohingya Muslims are often forced into unpaid labour, Human Rights Watch writes, and some children have been forced into free labour as early as seven. The recent tension, which pushed Asiya and others out, started in May 2012 after three Muslim men allegedly killed a Buddhist woman. In retaliation, Buddhist mobs hunted Rohingya Muslims across the region killing dozens. With no help from the government Rohingya’s were forced to abandon their houses and fled to safer locations. Asiya remembers the night when Shakoor made them to board an overloaded boat from Burma. “We sailed through Bay of Bengal and crossed into Bangladesh,” says Asiya. The group then spent a day in Bangladesh. Next day they entered India by foot, illegally. “Nobody stopped Shakoor at the border,” says Asiya. Once inside Indian border, they carried on with their journey again. “We boarded trains, buses, tempos and taxis to reach Kashmir,” says Asiya. Once inside J&K border, the group spent the night at Jammu railway station. Next morning Shakoor and the girls were on their way to Kashmir valley. “One of the girls went missing in Jammu. Maybe she was sold by Shakoor,” says Asiya. But Asiya insists that all the girls were well aware what they are getting themselves into. “It was either death in Burma or this man,” says Asiya. The same night, Shakoor and the girls entered a village in central Kashmir. They stayed at Bashir’s house for the night. The next morning, as the news of their arrival spread in the village, a number of men came to meet them. “I had expected worse. I was sure we will be sold to some bad guys. But instead, we were married off to locals in a respectful manner,” says Asiya, 20, who was married to Ghulam Qadir, 35, within five days of her arrival in Kashmir. Asiya, a mother of two girls (Afreen 3, and six-month-old Kulsum), is now living happily with her husband and his family. Later Asiya came to know that her labourer husband had paid Rs 30,000 to Shakoor, to marry her. For Anwara, then 19, it was better than getting killed or raped in Burma. She was married to fifty-year-old Ghulam Mohammed. Mohammad, a father of five children – all older than Anwara – paid Rs 40 thousand to Shakoor to get Anwara. “I expected worst but God has been kind,” says Anwara who lives with her labourer husband Mohammad in his one storey modest house. “Even though Mohammad beats me regularly, it is still better than the miserable life back home,” says Anwara. Anwara, who witnessed the mayhem, saved herself by hiding on a treetop. “I pray five times a day and ask for a painful end to the killers of my family,” says Anwara. A month after the massacre, Shakoor approached Anwara and other girls from her village, assuring them safe passage out of the region. “I agreed without giving a second thought,” says Anwara. Anwara’s group was among the first ones to arrive in Jammu and Kashmir. Since then, around six thousand others from the same region have landed in Jammu’s Narwal area. 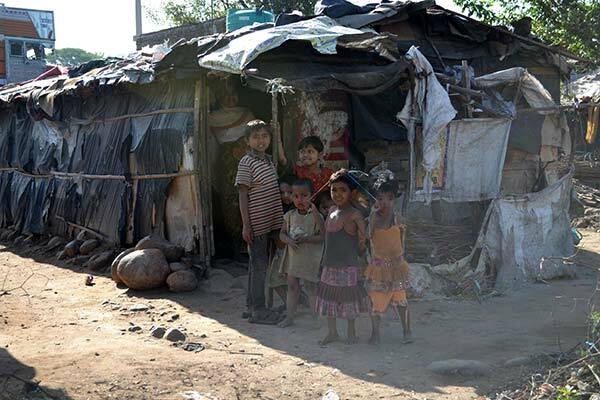 There, they live in makeshift Jhuggies, without sanitation, or access to clean water and other basic necessities. “Life is harsh here in this camp, but at least we are safe,” says Shams-ul-Alam, 50, who lives in one of the Juggies in Narwal, made of cardboard, plastic sheets and other scrap material. Initially Shams-ul-Alam, along with some two hundred people had come to Kashmir valley for safe heaven, but the harsh weather conditions forced them out again. “We wanted to settle in Kashmir as it’s a Muslim majority place, but weather is quite harsh there,” says Shams-ul-Alam. 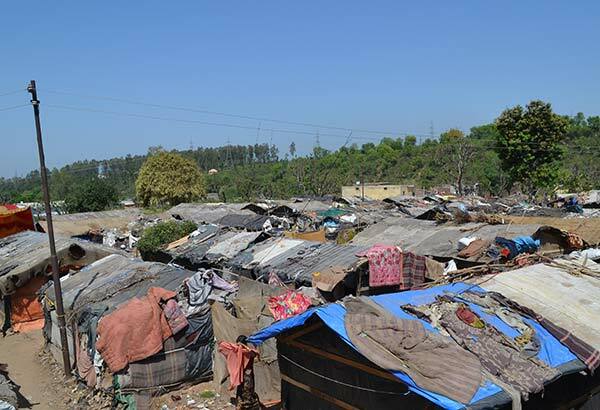 Although Shams-ul-Alam, and other Rohingyas’ are thankful to the state government for letting them stay in Jammu, they are living sans any basic facility like toilets, water supply or electricity. “We have to arrange water on our own from the nearby areas,” says Shams-ul-Alam, who works as a labourer in a factory with his two sons. In a nearby tent lives Amir Hussain, 35, who tried to cross the border with his mother, wife, two children and his four brothers. While he and other group members managed to get past the line dividing India and Bangladesh, his wife and two kids were detained by the police. They are lodged in a Kolkata jail,” says Hussain. There are many such families in Narwal camp who at least have one of their family members lodged in Kolkata jail. “They are there since last three years,” says Hussain. With heavy heart, Qasim and his wife Haleema carried on with their journey towards India. After days of journey the couple finally landed in Narwal, Jammu. “I thought they were both dead, and started working here for my wife’s sake,” says Qasim. Then one day, after six months, Qasim received a message from an agent that his daughter Morzilla, 17, and granddaughter Jannat, 7, are alive and lodged in a jail in Kolkata. The agent promised him that he will get them out if Qasim can manage Rs 2.5 lakh. “Finally, after much convincing I paid him Rs 30 thousand to get them out,” says Qasim. While Morzilla can speak only Burmese, little Jannat is fluent in Urdu as well. “Burma mein buhat julum hai, wahan sab ko khash kartay hai…bachoon ko bhi (Life is miserable in Burma, everybody is being slaughtered there. They don’t even spare kids),” says Jannat, whose parents are still untraced. According to UN Refugee Agency more than 86,000 Rohingya Muslims have fled Burma on boats since 2012. A total of 615 people died in 2013 while making the journey.